Can man become God? Is that what Jesus did 2,000 years ago? No human being can become God. There is only One God, and He is able to do all things, including entering into His creation at any time He desires to do so. Christians and the Bible do not teach that Jesus became God in the incarnation because Jesus has always existed eternally as God. What God did 2,000 years ago was to take on a body of flesh. In verses 1-3, John informs us that Jesus is God and has always existed as God. In verse 14, John says God took on a human body. The Word, Who is God, came down to earth and took the form of man to die for the sins of mankind. That was Jesus, the Jewish Messiah. The Gospel writer quotes Isaiah 7:14 but adds the words, "which is translated 'God is with us,'” to drive the point home. This Son will be "God with us." So did the Romans kill God on the cross of Calvary? No one can kill God because God is Spirit and He is eternal. God did not die on the cross. Rather it was the physical body that Jesus inhabited which died. "This is why the Father loves Me, because I am laying down My life so I may take it up again. 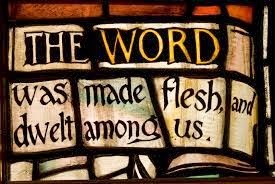 And why did the Word of God take on human flesh? Did Jesus do this unwillingly? Was He forced to do it? Why would God do all of this? Why would God suffer such agony and humiliation? YHWH did it because He loves you.